Westville promotes the creative and performing arts. Through the arts, our children expand their horizons, find their own voice and develop the confidence to express their individual creativity. We encourage our children to learn a musical instrument as a means of self-expression. Many are involved in ensemble work through choirs and bands, with numerous opportunities for solo performance. Individual instrumental lessons are provided by a team of highly qualified specialist teachers and we cater for most instruments and musical tastes. 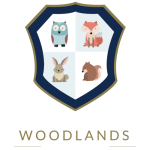 Westville’s rich Art education seeks to develop a child’s artistic interests and creativity. Our specialist Art teacher brings fresh ideas and encourages the children to express themselves through painting, drawing and design. The broad curriculum includes visits to art galleries and trips to areas of outstanding natural beauty that the children capture through their work. Drama is integral to our curriculum, enabling our children to grow in confidence and self-awareness. By engaging in Drama the children build their emotional intelligence, resilience and creativity.